Many people become caregivers at one time or another. Whether your task is the care of a special needs child or an ill, injured, or elderly person, the responsibility is daunting. The hardest part of being a caregiver is not having the information you need to make appropriate decisions. Fast Track for Caregivers will tell you what questions to ask, whom to ask, when to ask, and how to determine if you have received the correct answers. 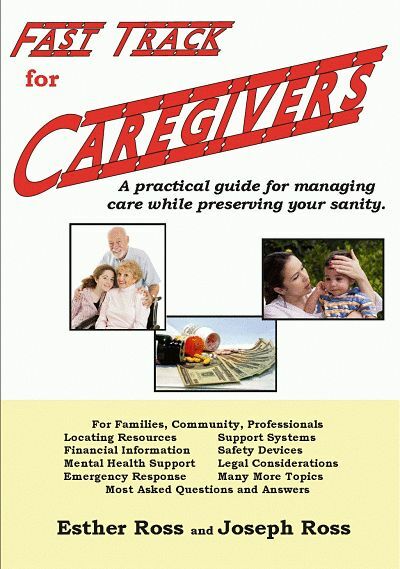 You will learn whether or not to become a caregiver. After you decide if you should be the caregiver, you will have an inside look at the preparation required whether the patient is in your home, in an in-patient facility or in a nursing home, terminal facility, or hospice. Reading this book will give you confidence in all areas, from filing basic paperwork to consultations with doctors, nurses, and other professionals. There are handy checklists as well as many lists of resources, ranging from equipment to documents to funeral arrangements, and more. You will gain valuable information about coping with patient setbacks, terminal illness, funerals, the aftermath of losing a loved one, and how to communicate with other people through your grief. While the demands of caregiving can never be completely eradicated, Fast Track for Caregivers will help you feel empowered, reduce your stress, and preserve your sanity.